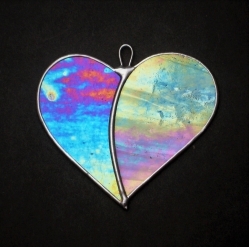 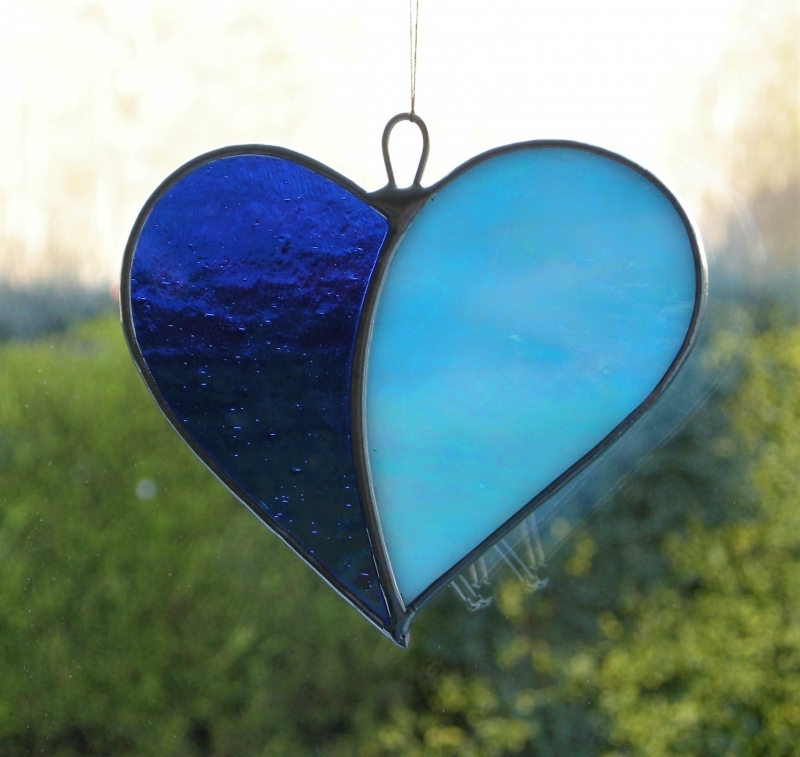 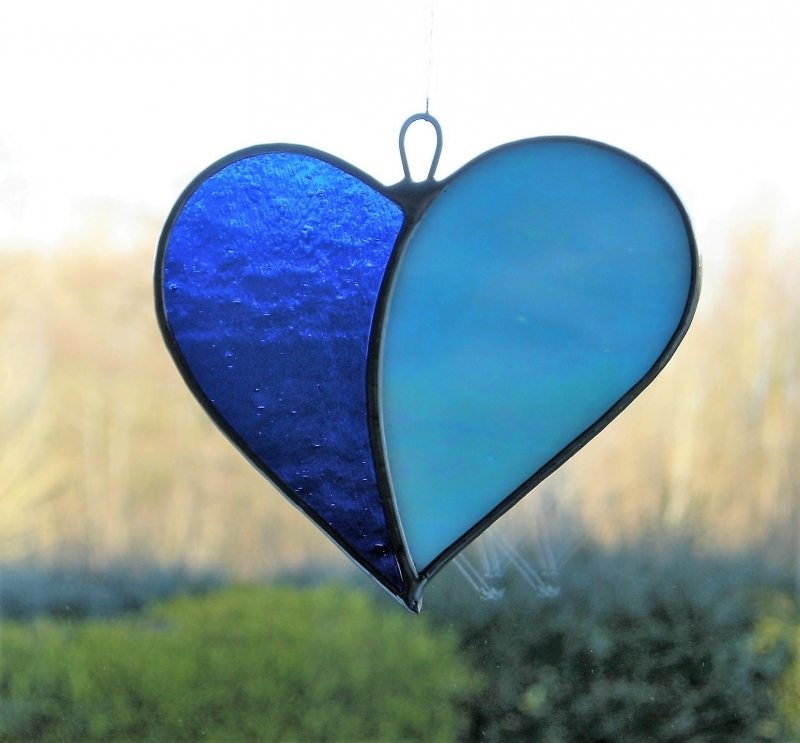 Beautiful stained glass designed hanging window ornament (Love Heart) which I have called "When Two Hearts become One" has been handcrafted and designed by myself using the traditional copper foiling method (no stick on lead or glass film). The design is effective with the glass colours (cobalt blue and aqua/turquoise/white opalescent iridescent glass) and textures of the glass used. The back of the glass is a cobalt blue, aqua, turquoise and white in colour and on one side on the front surface (as in the pictures) is also iridescent. 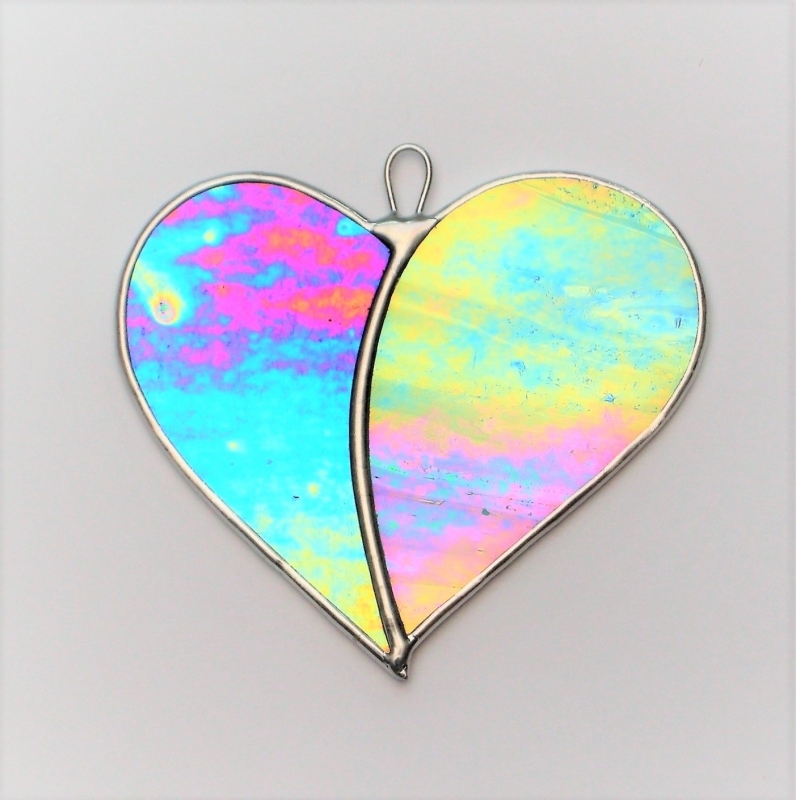 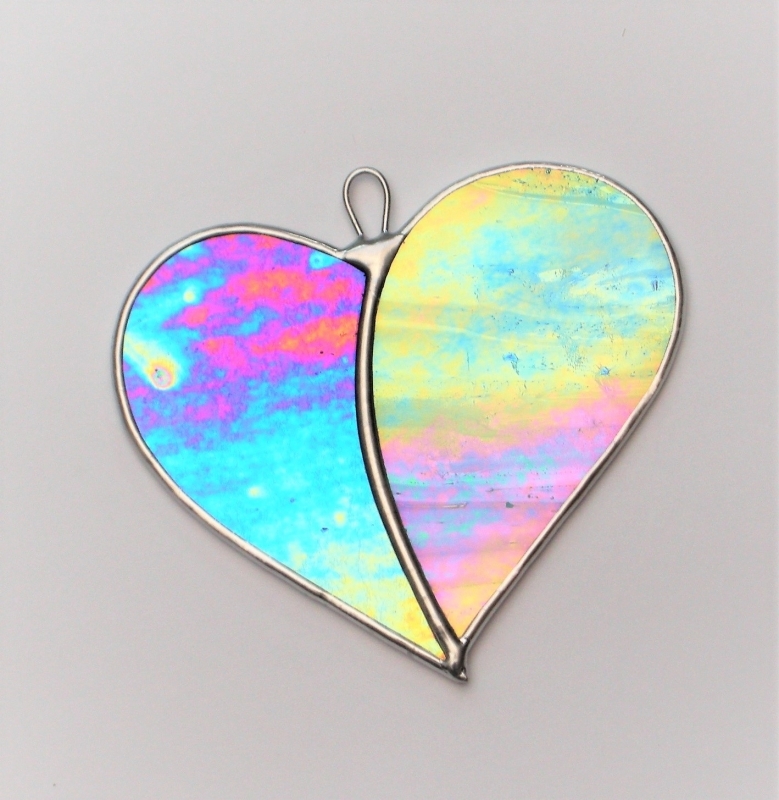 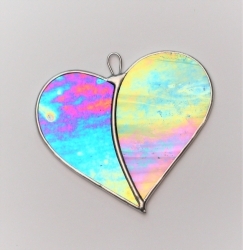 Iridescent glass displays a spectrum of colours that shimmer and change due to interference and scattering as the observer(s) position changes. I have taken several pictures to show the effect of the reflections of the iridescent glass textures, and on different paper backgrounds (at different angles) to show the iridescent glass against natural light, also up against a window.....all in different positions and time(s) of day. 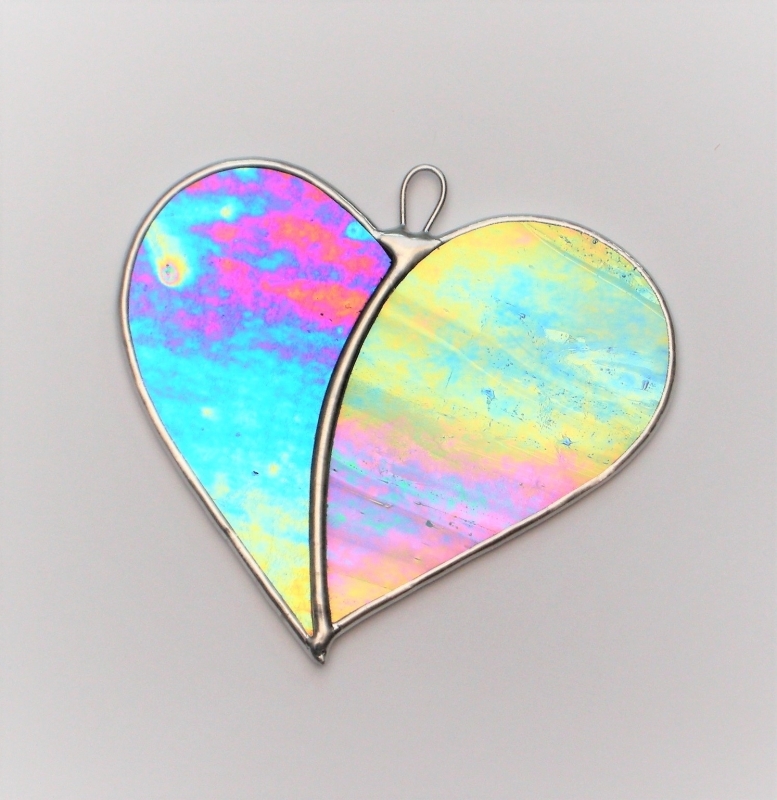 This Love Heart measures approximately 8.5cm in height and 9cm in width. 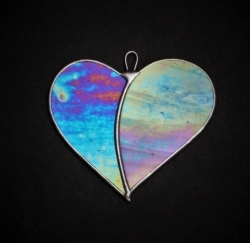 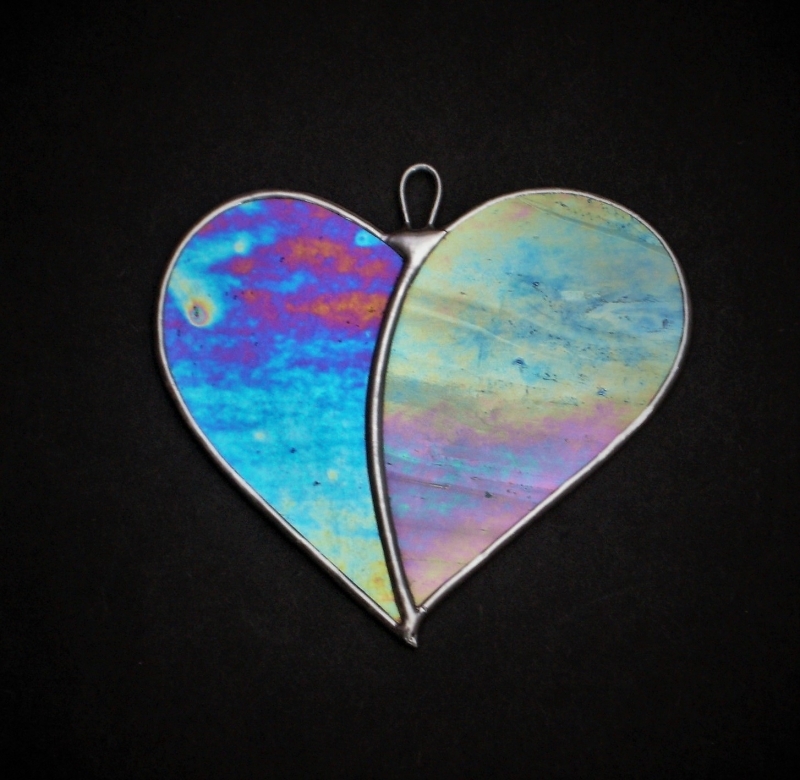 A soldered loop have been soldered on the top middle of the heart ready to hang using strong fine string/thread or suction cup (not included).Thank you for looking. 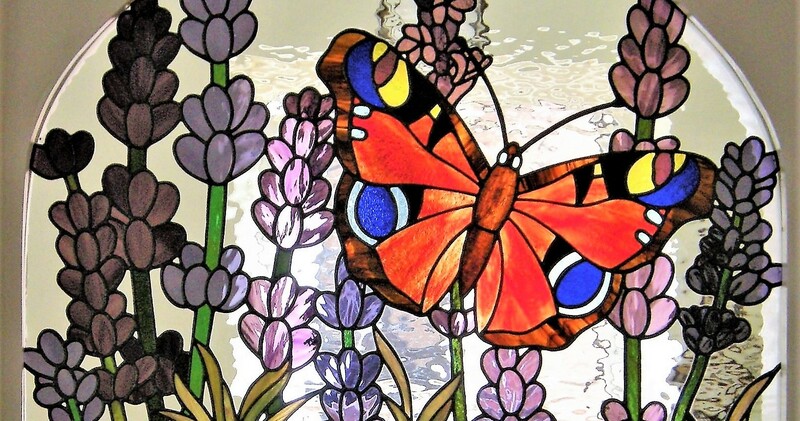 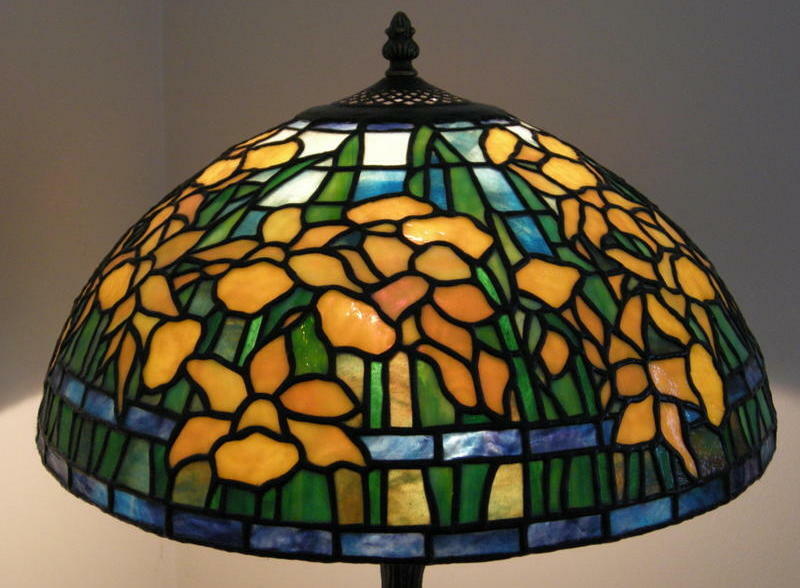 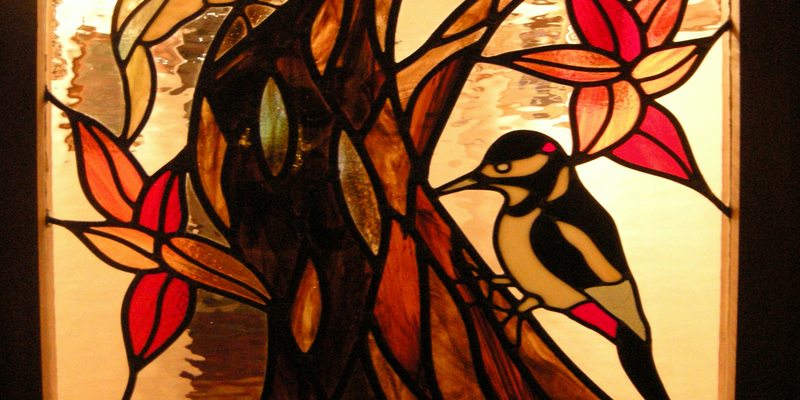 The design is copyrighted by Witney Stained Glass.